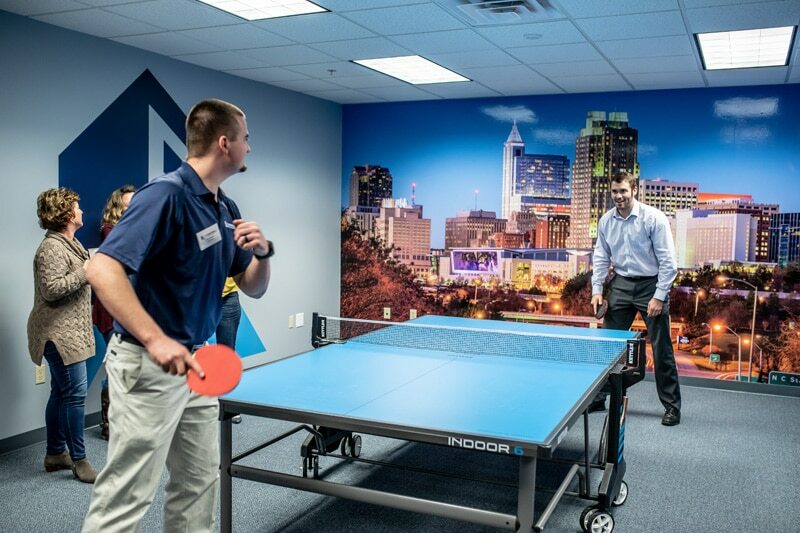 On February 26, over 100 people (from clients and business partners, to community members and family members) came out to help celebrate the opening of our new office. 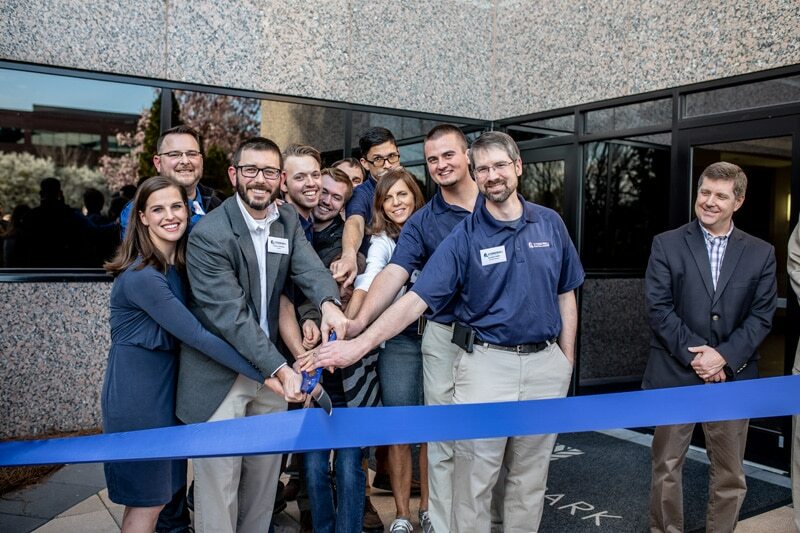 Complete with an official ribbon cutting ceremony, a presentation from the leadership team and special guests at the entrance of the building, the grand opening was a successful event and perfect way to celebrate our new space. 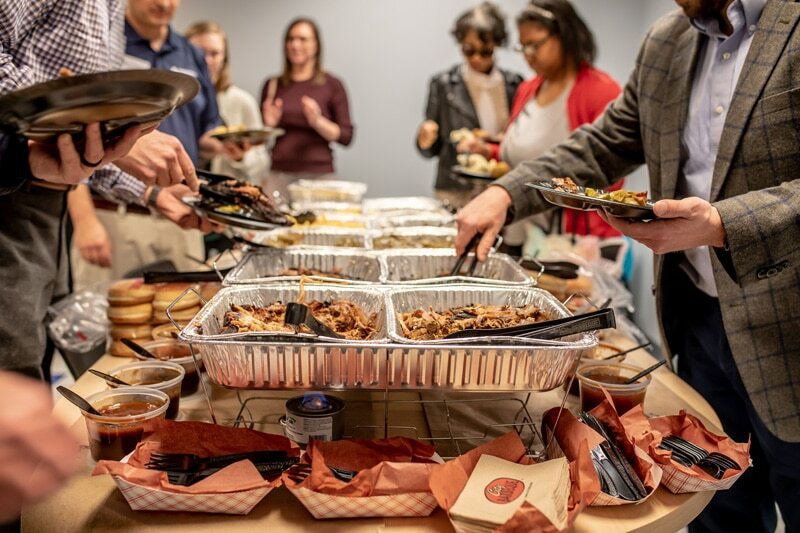 Guests came hungry and left full from our BBQ buffet and beverages, entered our raffle and took a tour of the new office. 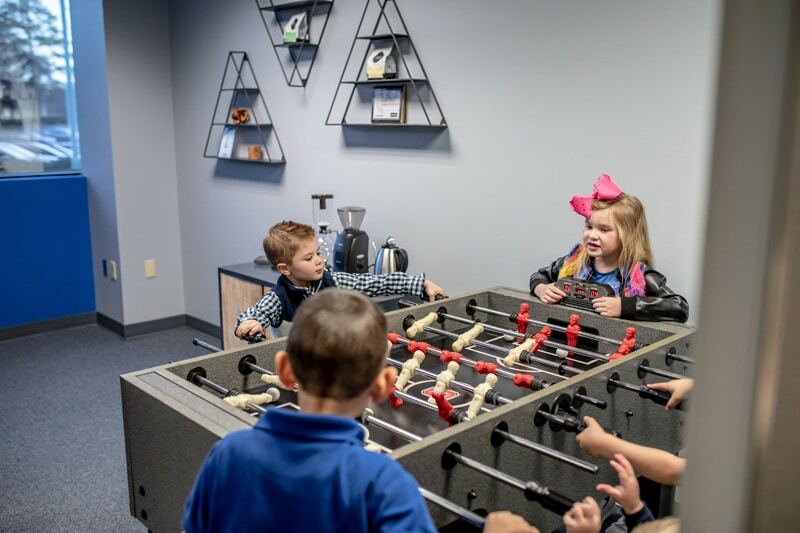 The office features a dedicated engineering plan design room, spacious conference room, lobby, ping pong, and Foosball play areas, breakaway lounge to encourage open communication and thinking, dedicated offices, and an open layout. It’s easily accessible from the belt line and right near downtown Raleigh, just up Falls of Neuse Road. We’re so excited about our new home and thank everyone who came to celebrate with us!